* Stop #6 of my Burger Love adventure. 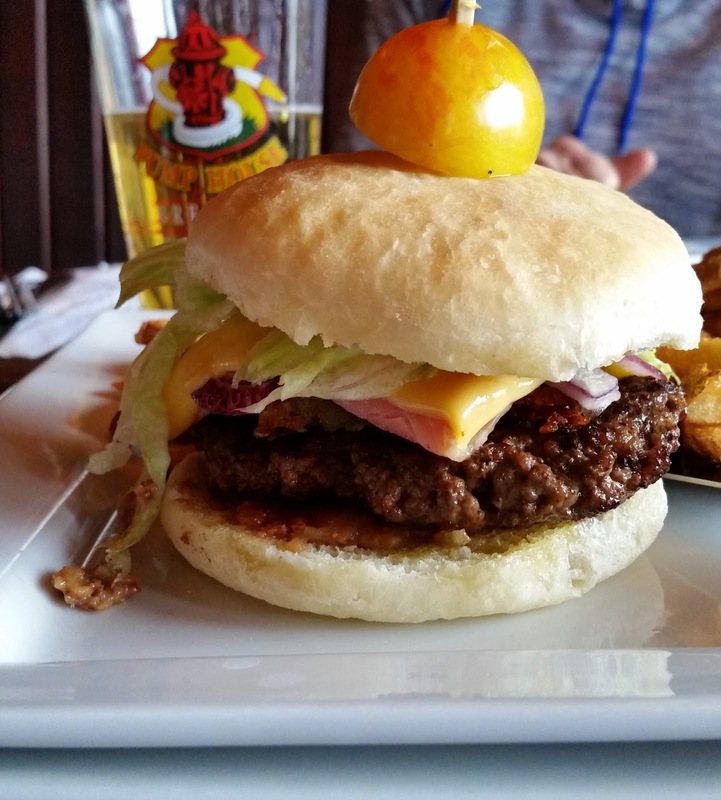 For this burger we travelled about 20 minutes west of Summerside to "The Landing" in Tyne Valley. The "Localvore" consisted of 6oz. Island beef, caramelized bacon jam, fresh red onion, potato rapure cake, lightly grilled smoked ham slice, cheddar, and iceberg lettuce on a homemade french biscuit, garnished with a yellow cherry tomato. The burger was well cooked and the homemade bun was fresh. I also liked the potato cake although it would have been nice if it was a little bigger. I was disappointed that the cheese used appeared to be a Kraft single and there was very little bacon jam on the burger because no one I know ever said, "That was too much bacon". Not a bad burger but nothing really jumped out as special.